One simple yet powerful climate friendly solution are solar tunnels. These tunnels are bamboo structures with a cemented floor that allow farmers to dry out food within hours and store those products until the dry season arrives or the market prices have risen. Thanks to the German Wisions of Sustainability initiative and Humana and ADPP-Mozambique’s Farmers’ Clubs program, the districts of Ancuabe, Pemba Metuge, Meluco, Quissanga and Mocimia in the province of Cabo Delgado have six solar dryers since the beginning of 2013. 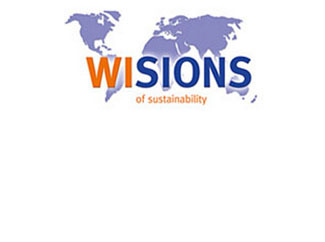 The action is co-financed from the Wuppertal Institut für Klima, Umwelt, Energie GmbH, through Wisions of Sustainability initiative, supported by the Swiss Foundation ProEvolution. Ran as small companies where users pay a small fee, the tunnels were constructed by the farmers –most of them, women-, who had previously been trained. Cabo Delgado’s population has been struggling with extreme poverty and isolation for ages. As a result of it, the region has the highest rates of malnutrition in the country. 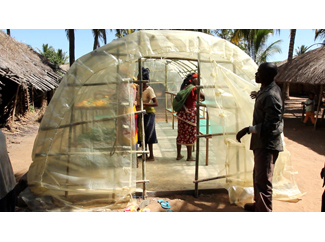 Against fierce odds, women farmers are showing a lead in Mozambique's fight against hunger. The Farmers’ Clubs are associations of farmers who share experiences, learn from each other and receive training that emphasizes sustainable agricultural techniques, promoting conservation agriculture as a method to obtain higher yields. For Wisions, this last part is primordial: “The poorest countries, the ones that make the lowest contribution to global emissions, are the most vulnerable to climate change. Our goal is to create climate friendly technologies that boost development in poor regions”. 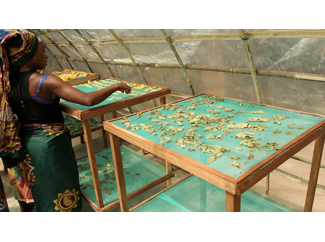 The tunnels provide sufficient place for 50 families to dry their products, both for own consumption and for sale, which has improved their diet and increased their incomes. Josefina José has participated in the project and shows her enthusiasm for it: “When we harvest the different kind of crops in May, we put them right away inside of the solar tunnels, so we can consume them from July to December. We can also sell some of the products in the local markets”. All the farmers attended a previous training that enabled them to supervise the tunnels’ construction process. Now they are ready to do the tunnels’ maintenance and to construct the tunnels themselves if that is the case in the future. Niurunia Selemane has become a frequent buyer of these solar tunnel dried products: “I’m very thankful to this initiative because now we can buy off-season products. Besides being very tasty, they keep all the nutritional values”.